I’ll be the first to tell you that bodyweight training isn’t optimal when the goal is maximum muscle hypertrophy. Adding 5-10 pounds to the bar on your bench press, weekly, is going to produce much more growth than increasing the number of push-ups you can do, period. But just because something isn’t “optimal”, doesn’t mean it’s not a viable option. I mean, I drive to the gym each morning and have the option to take 100 (exaggerating) different routes to get there. I just happen to take the shortest one possible. But what if there is a traffic jam or a detour? Does that mean I can’t make it to the gym? It simply means that I’ll have to get there another way. What if my car broke down? Surely I’d be screwed then, right? I’d just bike it or take the bus if I really needed to. Would it take me longer to get there? Absolutely. But it doesn’t mean I couldn’t get there. Hopefully by now you see where I am going with this. Bodyweight training may not be the shortest route to a muscular physique, but, if done correctly, could certainly be a viable option. In fact, let’s look at male gymnasts. Those guys are pretty jacked, right? Most of those guys don’t ever touch weights until college. Their foundation, a solid one I might add, is built exclusively through bodyweight training. So can you build mass with bodyweight training? 100% no doubt about it! Although, if you want to maximize your efforts, then there are a few principles I would recommend following. But first, who is bodyweight training for? Who is bodyweight training not for? Note: This is not to say that these individuals should avoid bodyweight exercises, this simply means that bodyweight training should not be their primary focus (in terms of strength training). There is one way to build muscle, and one way only. We stimulate new growth by adding resistance, and that resistance isn’t partial to iron plates or our own bodyweight. So whether you’re aiming to add 5 pounds to your bench press or pushing toward doing an extra rep on one arm push-ups, your body will have to adapt to the new stimulus. That’s where most bodyweight training programs have it wrong. 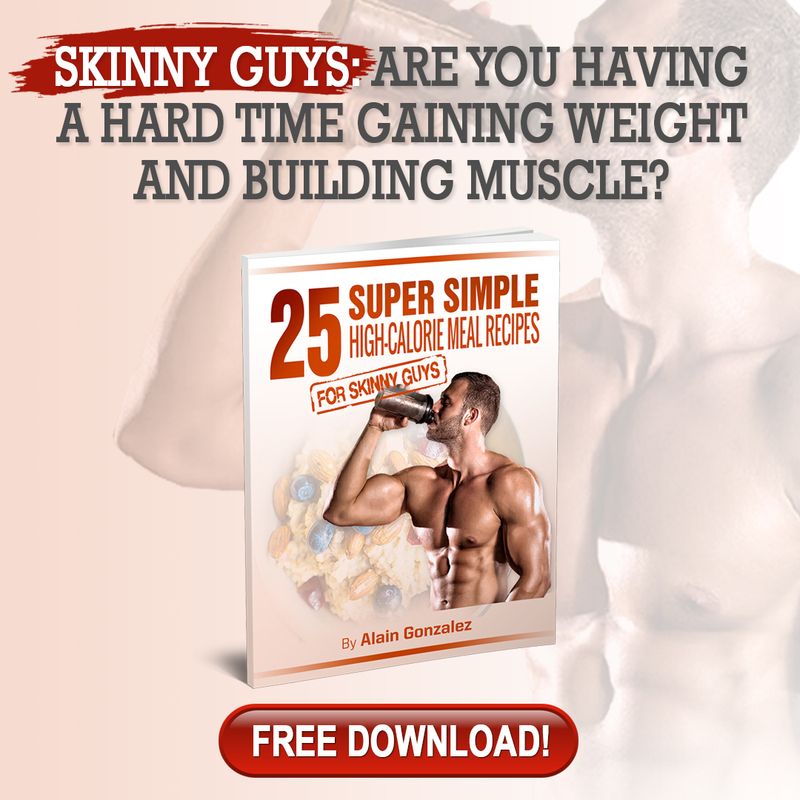 With that said, I want to go over 3 factors you’ll need to consider if you want to maximize growth with, primarily, bodyweight workouts. Some experts define volume as “the amount of exercise you perform over a given time.” The idea here is that volume is determined by adding up the total number of reps performed in a single training session (sets x reps = volume). Personally, I like to factor in the amount of weight lifted (sets x reps x weight = total volume). In my opinion, this allows for a more accurate calculation of progress, specifically with bodyweight training. 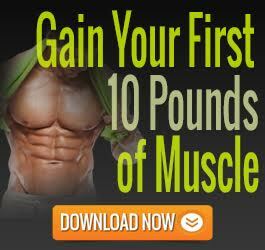 The muscle building process, when it comes to resistance training, is quite simple. We stimulate the muscle using a given stress (weight), our body then adapts to the stress by building new muscle mass in order to handle it. If we, for example, perform bodyweight pull ups (135 lbs bodyweight) x 4 sets x 8 reps (each), our total volume is 4,320 lbs. We now adapt to that stress (total volume) in preparation to handle this stress again. If we go in the gym (or the park, or your living room) again the following week and perform the same total volume on the pull ups, our body has no reason to adapt and thus we’re only working hard enough to maintain the gains we’ve made. 1. Increase the amount of weight used without sacrificing sets and reps.
2. Increase the amount of reps performed without sacrificing weight and sets. What about increasing the number of sets? Couldn’t one just add more sets of pull-ups? Sure, this can be done, but studies show that it’s only possible to a certain degree before we experience diminishing returns. When it comes to bodyweight training, however, since we are limited to the amount of weight we can increase, adding sets would be the next best thing. Now let’s consider a bodyweight exercise that is, in most cases, a lot easier to perform. Couldn’t we just do push-ups (bodyweight 135 lbs) for 3 sets of 30 and get better result than bench pressing 160 lbs x 4 x 10? Let’s ignore that fact that, from a biomechanical standpoint, this would be comparing apples to oranges because the bench press will require more core strength, stability, and range of motion to perform. It’s why my 100 pound son can perform 10 push-ups but would get crushed under a 100 pound barbell on the bench press. The point is, according to this study, you would have to perform 3x the total volume, when using a lighter weight, to get the same exact results you would from a moderate load. Making light load training (bodyweight) effective but extremely inefficient. This study showed similar findings when they compared a low, moderate, and a high rep group. The difference here was, the low and moderate rep groups produced significantly more hypertrophy than the high rep group. Again, bringing me back to the point I made earlier. Bodyweight training can and will promote muscle hypertrophy, but not as optimally as traditional weight training. It’s not hard to see that the main differentiator, in terms of building muscle mass with bodyweight vs traditional weight training, is intensity. The amount of physical power (expressed as a percentage of the maximal oxygen consumption) that the body uses when performing an activity. Gauging training intensity is typically gauged using a very simple method. Using a percentage of your 1RM. An example of using a percentage of your 1RM would be; let’s say your max bench press is 315 lbs. Then you might use, for example, 80% of your 1RM for 5 sets of 5. This might translate to something like 252x5x5. Unfortunately, when it comes to strictly bodyweight training, intensity remains the same and cannot be manipulated to any significant degree. (a). Altering your technique so that more work is performed through a decrease in leverage. For example, you may consider wider grip push-ups over the traditional push-up (if you’ve already become extremely proficient at it). (b). Adding weight with a bar of gym equipment. Note: For the best (and safest) results, focus on maintaining overall form and technique while increasing the load slightly over time. Sacrificing form in order to move more weight is not only unsafe, but defeats the entire purpose of adding the weight all together. Although this, in my opinion, still does not bridge the gap between weights and bodyweight, it certainly gets us closer. Another major contributing factor to muscle hypertrophy that can be implemented with bodyweight training (or calisthenics) is frequency. Refers to the number of training sessions within a given time frame, such as a day or a week. This study published by the Journal of Strength & Conditioning Research compared a 1-day per week training frequency to a 3-days per week while keeping volume constant between both groups. They found that a higher frequency of training, despite no difference in total volume, produced more gains. Another study found that subjects who trained a single muscle-group more frequently throughout the week, despite no changes in total volume, made no significant increases in strength; however, they did show significant increases in muscle growth. This is, in my opinion, due to a few factors. In the past you’ve probably been lead to believe that, if you train a muscle-group more than 1-2 times per week, you’ll overtrain and ultimately end up doing more bad than good. Although this could be the case if the muscle is trained too intensively for too long without a back off week or a deload, it’s going to be less likely with bodyweight training where intensity isn’t quite as high. This idea of overtraining being a result of training a muscle-group more than once per week has been debunked. Science has demonstrated, what they call, The Repeated Bout Effect. Repeated Bout Effect: the adaptation whereby a single bout of eccentric exercise protects against muscle damage from subsequent eccentric bouts. Although this effect does still require an adequate rest period between bouts, training more frequently will increase your ability to recover and adapt. The synthesis of muscle protein is essential to the body’s ongoing growth, repair, and maintenance of its skeletal muscle groups. Studies like this one suggest that muscle protein synthesis is more than doubled at about 24 hours following an intense training bout. Muscle protein synthesis then begins to drop back to baseline at about the 36 hour mark. So going back to chest training, let’s look at what that might look like for someone training their chest 1x per week vs 2x per week. The chart above illustrates elevated rates of protein synthesis in an individual who trains his chest (for example) once per week. MPS is typically elevated for 24-36 hours (48 hours maximum) and then drops back down to baseline for the rest of the training week. This chart illustrates elevated MPS in an individual who trains his chest twice per week. 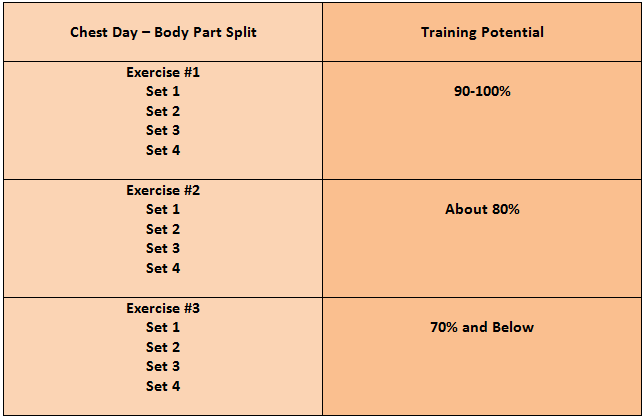 In this case, the trainee is doubling the amount of time he/she is spending in an anabolic state (building muscle). 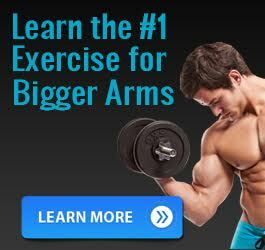 At this point you figure that, if you focus on increasing total volume, add a bit of intensity by altering your technique or adding bit of weight (suing the strategies listed in the Intensity section of this article), and train each muscle-group 2-3x per week, you could then expect the same results as someone who’s weight training. We haven’t quite bridged the gap. We are about to get closer. Although training to failure for someone who trains primarily with weights, at a respectable intensity, is not something I recommend (Read This: Should You Ever Train to Failure? ), my views do differ a bit when it comes to lower intensity (bodyweight) training. This is because it has been shown that we can only expect a significant elevation in MPS for trainees working with 70-90% of their 1RM. While MPS was considered “negligible” in trainees who used 20-40% (with workload being equal). But low-intensity exercise performed to failure equalizes this response. With that said, in the case of bodyweight workouts, training to failure, regularly, is recommend (by me). Let me be completely honest…we aren’t going to bridge that gap completely. There are too many factors that make heavier resistance training optimal for strength and hypertrophy that cannot be duplicated with bodyweight movements. 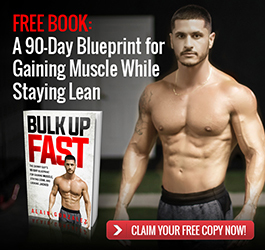 But again, given the circumstances mentioned in the beginning of this article, bodyweight (or calisthenics) training is, 100%, a viable method for building muscle, especially when we add the next couple of “amplifiers”. This refers to the speed at which we perform each repetition. There are 4 components to the rep tempo that each play a vital role in the lift. Eccentric: This is the negative portion of the lift where we are lowering the weight with gravity. In the example of a push-up, this would be the portion of the movement where we are lowering our body toward the ground. Isometric: This is considered the midpoint of the range. On the push-up, this would be the moment you reach the desired (or required) depth and the target muscle(s) are lengthened. On the bench press, this would be the portion of the lift where the bar is at your chest. Concentric: This is the lifting portion of the exercise where we are moving the weight against resistance. Using the example of the push-up, this would be the portion of the exercise where you are pushing your both off of the ground. Isometric: This represents the top of the range where the working muscles are fully shortened (or contracted). Here we are talking about the point of the push up where your elbows are locked at the top. Manipulating the rep tempo, although important but not critical when training with weights, could be a game changer for bodyweight trainees. By increasing, for example, the eccentric portion of the lift, you are essentially keeping your muscles under tension for a longer period of time. More tension = more stress (to a degree). Take an individual who is performing push-ups using a 1:0:1:0 tempo for 8 total repetitions. The total time spent under tension during this set would have been 16 seconds. Now let’s take the same person and manipulate their rep tempo to 3:0:1:0 for 6 total repetitions. The total time spent under tension during this set would have been 24 seconds. Had this trainee managed to (eventually) get the same amount of reps (8), the total time under tension would have been 32. That’s double the tension using the same load (bodyweight). Note: We must continue to keep total volume in mind. Increasing the rep tempo, although extremely helpful in increasing intensity, should not come at the expense of volume. The point would be to perform (as an example) 10 reps on pull-ups using a 1:0:1:0 tempo and then aiming to hit those same 10 reps using a 3:0:1:0 cadence. Density refers to the work you’re able to do in a given amount of time. If you perform 20 sets of 10 reps in 45 minutes, your training density for that that particular workout in a 45-minute time-frame would be 200 repetitions. In other words, training density is the amount of sets multiplied by the number of reps completed within a certain timeframe. 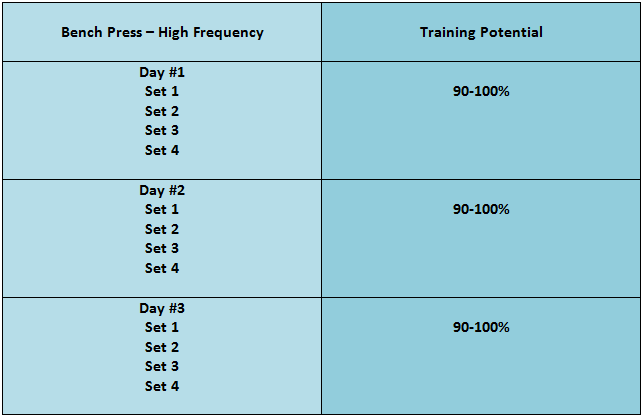 Increasing Training Density: Decreasing the time-frame it takes in order to complete a given workout (sets x reps). So if a particular training session takes you 1 hour to complete, the goal should be to complete that same workout in less time (i.e. decreasing rest periods). Let’s say that cranking out 200 reps in 60 minutes was challenging. To take things to the next level, decrease your work time by 5 minutes. If you rose to the challenge and again completed 200 total repetitions, you may not have increased your total volume, but you’ve still increased your training density. In other words, you can do more work in less time, and are therefore progressing. For this amplifier, we’ll use the example of a push-up since this seems to be the exercise most become proficient at, fastest. At one point or another, you’ll be able to perform 50-60 push-ups in a given set. This means that you’ve become extremely proficient with the movement and thus the intensity of this workout is extremely low (for you). Well…I don’t think it’s hard to see how squatting (or pushing up) your entire body using one leg (or arm) rather than two would equate to a heavier load on the target muscle. At the end of the day, if your goal is to build size and strength, training with weights is going to get you there the fastest. But if training with weights is not an option, then bodyweight training, with the right principles in place, can and will produce solid muscle and strength gains. Find a solid, done-for-you bodyweight training program that prescribes a high frequency approach, and aim to increase total volume (while taking into account intensity) over time. As you get more and more proficient with the basic movements, start implementing the 3 bodyweight amplifiers to challenge yourself a bit more. 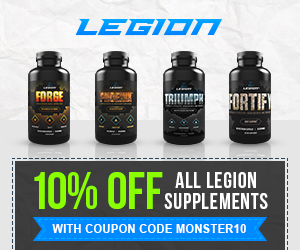 This will allow you to continue to progress without having to train for hours per day while experiencing significantly diminished returns on your time. Make sure to “like” it and share it with your friends! Have questions regarding this topic? Leave them in the comment section below and I’ll be sure to get back to you, personally! Is the Rep Tempo in the attached bodyweight training program always showing Eccentric – Isometric – Concentric – Isometric stage? For every exercise given? Lets take pull-ups 1-1-2-0… Or is it from the starting position of exercise, which would be Concentric – Isometric – Eccentric – Isometric in the case of pull-ups…? And – would you suggest choosing 3 out of these 10 workouts and then sticking to them for a few weeks?